Day three: Favorite animal, Cat. 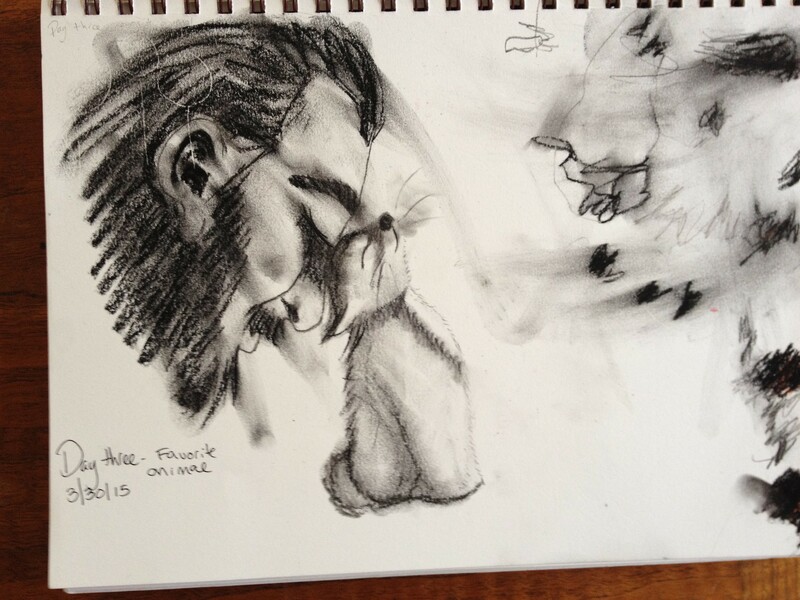 I haven’t used charcoal in forever, like 6 years. I think I used to really like it, but I really didn’t like it today. 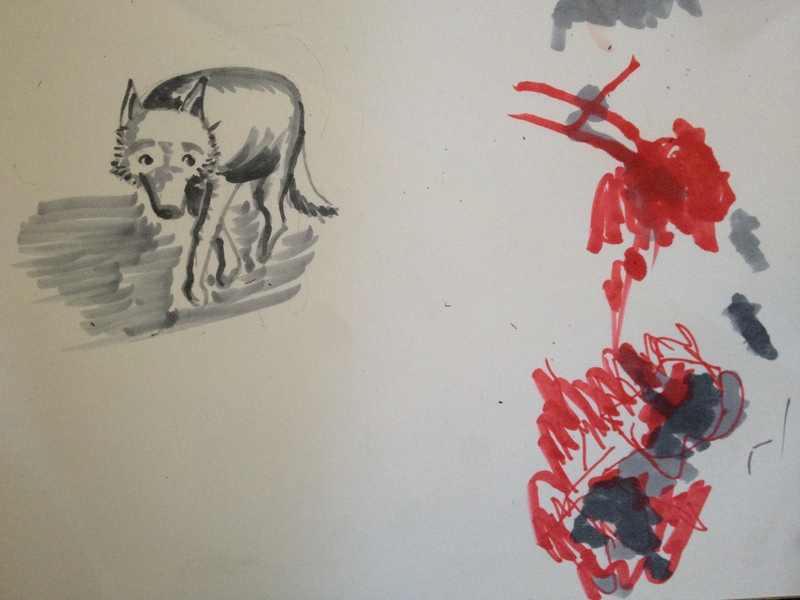 Calvin drew along aside me today and then had me draw his favorite animal, the wolf. I was trying to make him sinister and scary and he is somehow the sweetest meekest looking wolf I have ever seen, not sure how that happened. Yesterdays Daily Drawing Challenge; Favorite sport. 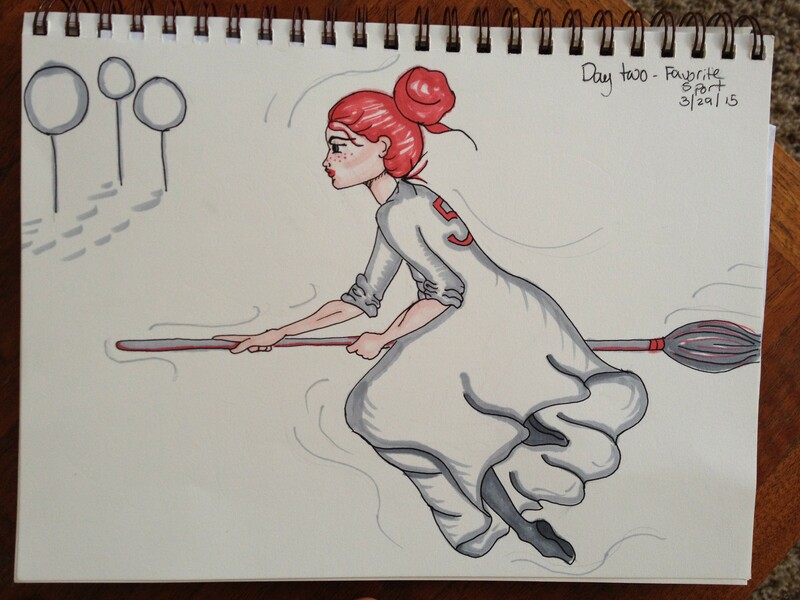 I actually really don’t like Quidditch in the Harry Potter books, but I wanted to draw Ginny on a broomstick. I got some new Prismacolor markers which I adore, but are very expensive. So I only got 4 colors, two greys, pink and red. I definitely want some more shades. Han Solo – iPhone Wallpaper. Final version. Ok, this is finally done. Here’s a time-lapse of the different stages of the process below. 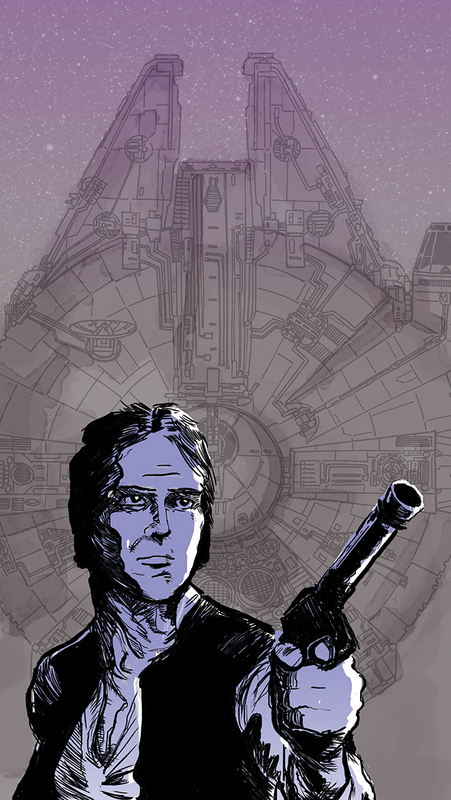 I actually drew this as an iPhone wallpaper, so if you want to also have Mr. Solo on your iPhone (of course you do!) you can download it here. Next up, Jar Jar Binks? 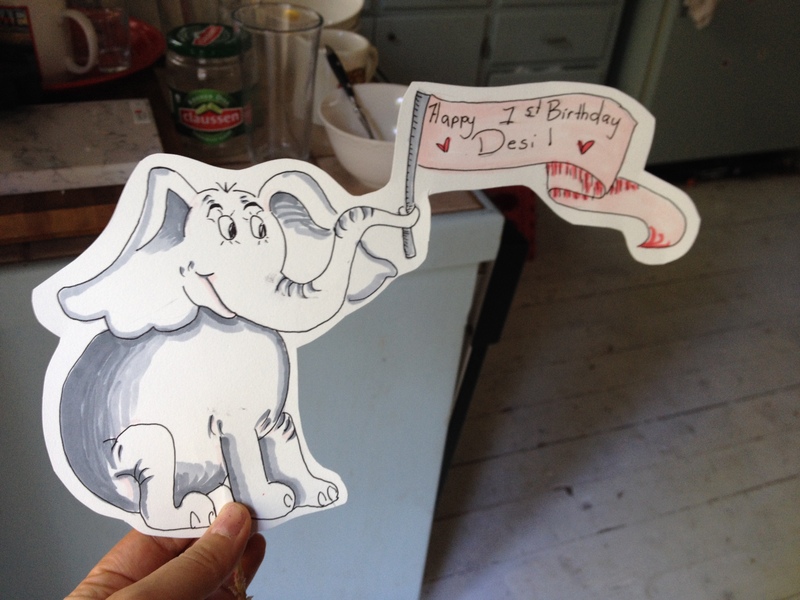 Des loves Horton so I drew him for his birthday cake topper. 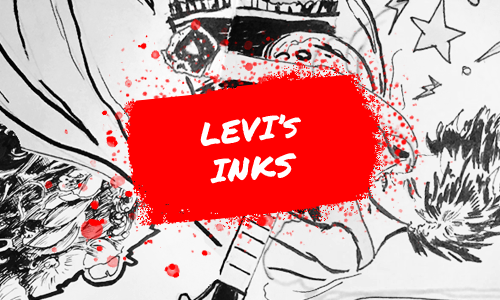 This is exciting for me because a month ago there is no way I could have free hand copied anything, even a cartoon elephant. My hands are obeying me better very day. I guess what they say about practice is true. Starting to add color and texture. 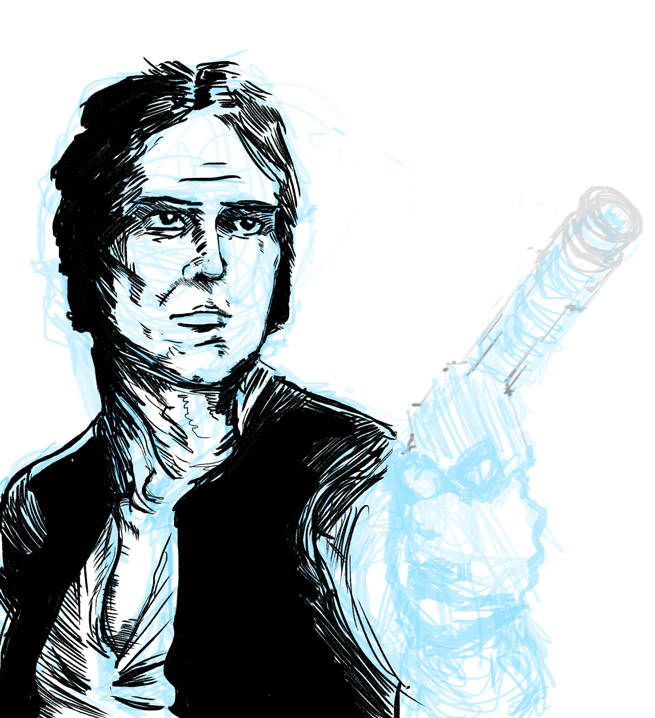 And the drawing of “Hans” Solo continues… Starting to ink this thing. Digital work in progress. 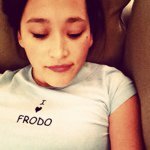 You know what’s hard? Drawing a portrait without tracing and still capturing a likeness. It’s interesting how some artists do this so effortlessly. Here’s a bit of a timelapse on the progress so far.